B&W, 1944, 77 mins. 57 secs. Best known today as the author of the allegorical hit play An Inspector Calls and the source novel for what would become the horror classic The Old Dark House, J.B. Priestley is one of the more fascinating authorial voices in the aftermath of World War I England. A left-leaning military veteran from Yorkshire, he had a penchant for writing novels and plays based around lofty concepts that sometimes ended up being muddled in translation to other media. However, that certainly wasn't the case with They Came to a City, a faithful transposing of his 1943 fantasy play about the need to see a better world ahead at the height of the turmoil of World War II. 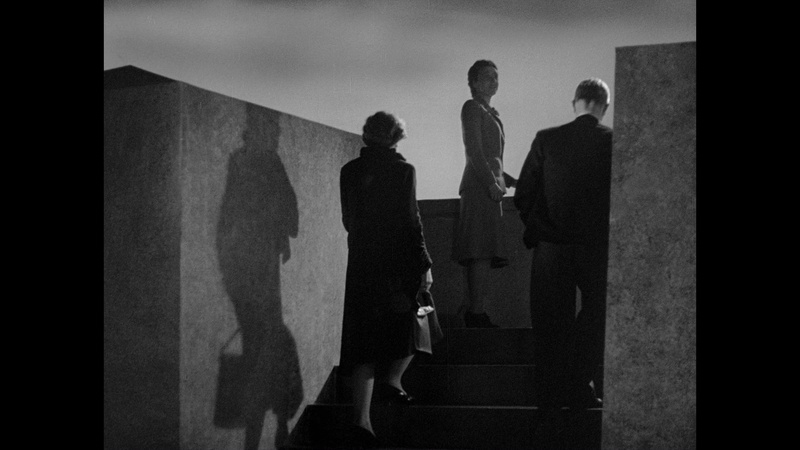 Sort of an amalgamation of chestnuts like Lost Horizon and No Exit, the Ealing Studios production was a logical choice for one of its best directors, Basil Dearden, who had just helmed the excellent supernatural wartime fantasy The Halfway House and the framing material for the classic Dead of Night. Here he finds a strong visual sensibility heavily inspired by the popular surrealist movement to mount the tale of a group of different social classes and philosophies confronting the prospect of utopia. One afternoon on a sunny hillside, a young couple has a disagreement about what will happen when the war is over. Will people push for change to make things better, or will they be complacent and let things stagnate into a repetition of how it's always been before? 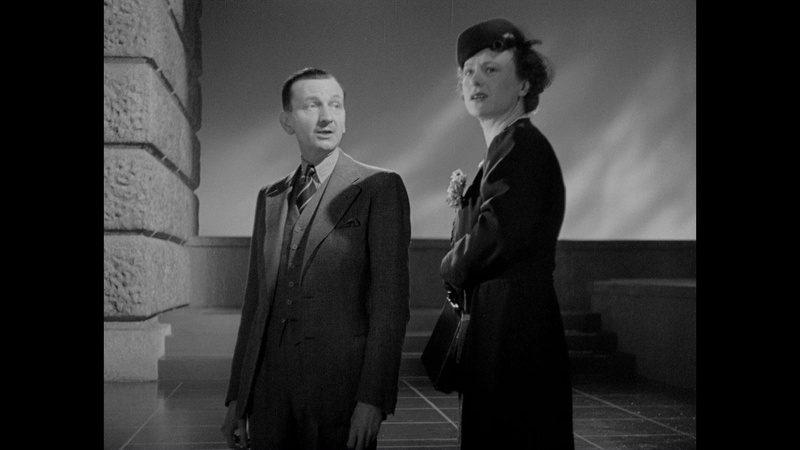 Their conversation is interrupted by the pipe-puffing Priestley himself, who settles down to present them with a unique scenario in which nine people end up wandering out of their normal environments into darkness -- only to then find themselves on the outskirts of a perfect city. After a waiting period outside, they are each allowed into the city (which remains unseen to the audience), only to have some unexpected reactions that find many of them deciding to go back. 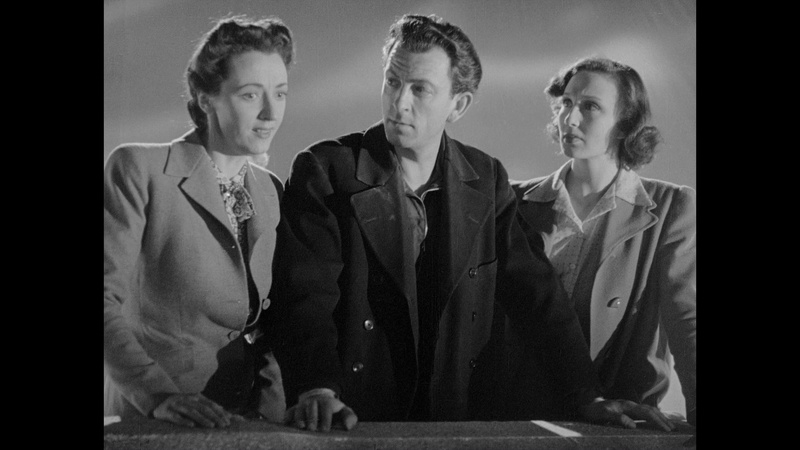 Among them are barmaid Alice (luminous Ealing regular Withers), the first to be transported, and activist sailor Joe (Clements), who strike up a tentative romance but have different views of how to deal with their circumstances. Other new arrivals range from a washerwoman (Reeve), who's given the best years of her life to serving others, to banker Malcolm (Huntley) and his wife (Gadd) who also have different takes on the limitations of their old lives. 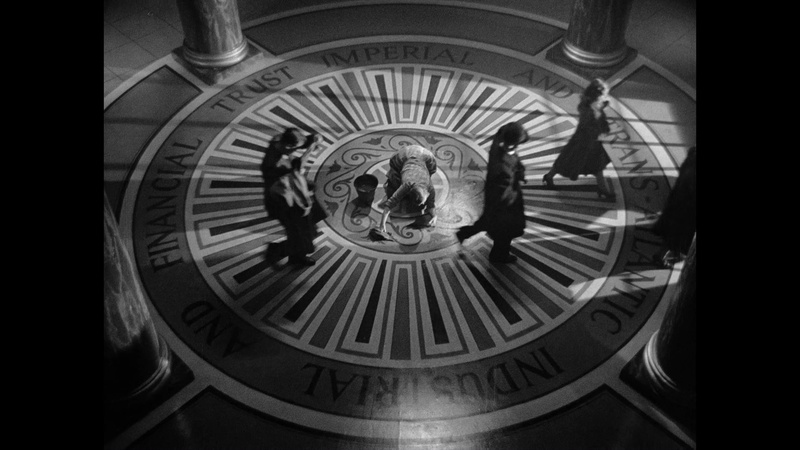 Stylized and theatrical, this is a fascinating entry in the Ealing pantheon that will probably fare best with those familiar with Priestley's didactic style. Never one for frivolous entertainment, he's in full message mode here but that's thankfully balanced by the excellent cast (mostly culled from the recent theatrical company) and, most importantly, Dearden's consistent knack for atmosphere and visual flourishes. 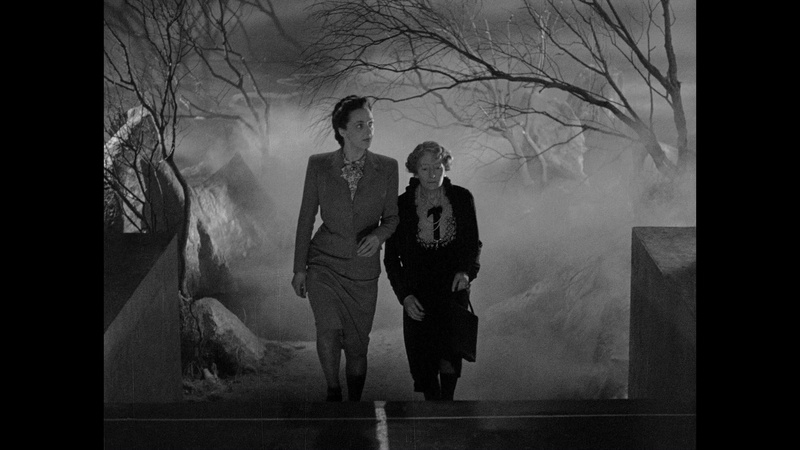 There's an eerie quality to the execution that helps sell the more stilted aspects of Priestley's treatise, even when the finale essentially consists of two characters gazing off screen and delivering optimistic dialogue about the tough choice they've just made. It doesn't hurt that much of the dramatic weight falls on Withers and Clements, both excellent and able to infuse their characters with more charisma and humanity than what the written roles require. 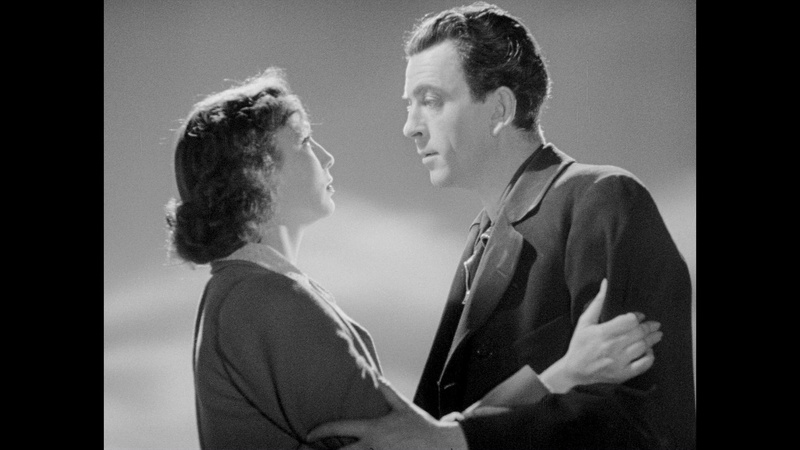 Occasionally aired on television but held off of home video for decades for some reason, They Came to a City arrives on Blu-ray and DVD as a 2018 dual-format edition from the BFI in a sterling restoration that ranks up there with the best Ealing HD releases in recent years. Contrast and detail levels are excellent, which is essential for some of the moodier visuals like characters wandering through dark landscapes filled with fog. The LPCM English mono audio (with optional English SDH subtitles) is also in great shape. It's worth pointing out that one camera evidently had a small hair stuck along the edge during some shots, so you'll see it pop in and out of a few scenes; that's inherent in the original film and not a transfer issue. The film can also be played with a 1969 NFT Lecture with producer Michael Balcon, who chats for just under an hour about his career starting in the 1920s and running through pretty much every single Ealing classic from the early '40s onward. It's a valuable little time capsule of the era with other topics including the challenge of all-British films breaking through in America and the popularity of American-involved propaganda Islington films during the war. Priestley pops up for "We Live in Two Worlds" (13m52s), directed by Ealing's Alberto Cavalcanti, in which he expounds about the different mindsets of nationalism versus universal trade and communication, with Switzerland serving as a fascinating example of how to exist between the two. 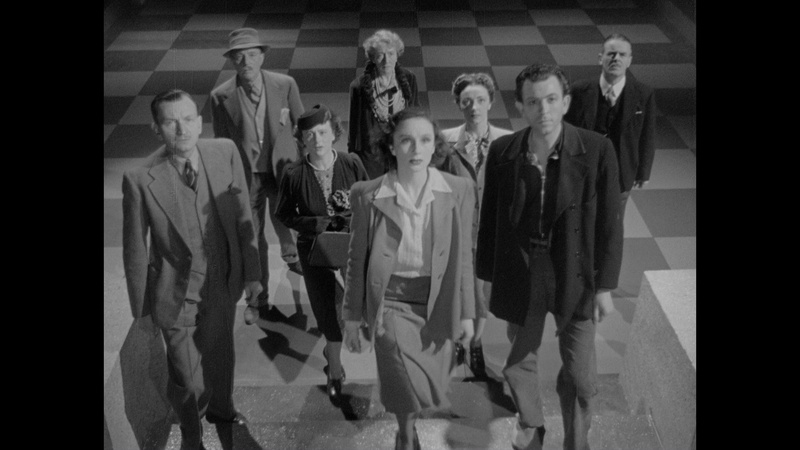 In "Britain at Bay" (7m6s), Priestley examines the rise of Nazism as a threat to Europe with his own country standing steady against the menace. "A City Reborn" (22m22s), penned by none other than Dylan Thomas, is essentially a pitch film for prefabricated houses as a solution to rebuilding after the WWII blitz using Coventry as an example to create a "good, decent place to live in" compared to the slums that existed before. The sole color entries on the disc, 1948's "Charley in New Town" and "Your Very Good Health" from animation company Halas & Batchelor, feature hand-drawn depictions of the benefits of post-war reconstruction in towns offering new employment opportunities and amenities ("Flower gardens! A posh theater!") and the need for the newly-formed National Health Service, even for those who wanted nothing to do with it at the time. The liner notes booklet features a batch of essays about Priestley and the film from contributors including Dr. Dr Josephine Botting, Tim O'Sullivan, Katy McGahan, Jenny Stewart and Alan Burton, plus notes on the extras and excerpts showing how this film's chilly critical reception upon its initial release may have had something to do with its unfortunate time in the wilderness ever since.